Photographs: Christina Egan © 2014 / 2016. Also, if you have read a few of my poems, you will have noticed that they do not describe flowers and trees alone, but use them as images for human life and joy, suffering and death. 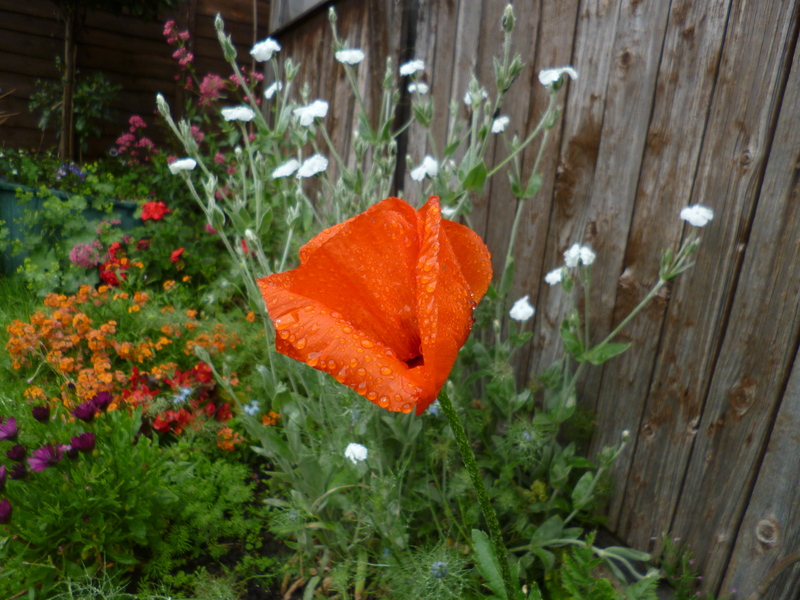 ‘Poems about flowers’ has 35 words — but amongst them are ‘nothingness’ and ‘the universe’! and stops and speaks: Get up and follow me. get up, leave all and follow hand in hand. through our hearts, till two are truly one. These lines were inspired by the biblical stories of Jesus calling his followers, who literally got up, left everything behind and — followed him. Just imagine you are getting up from your desk this minute to walk out of your life! I wrote this poem for my own wedding and recommend it also for anniversaries; a long time together is not eternity yet, but a great achievement and a great gift. Perhaps you could even use it for Valentine’s Day. und wisse: Alles wird gut. um Sinn und um Seligkeit. St Ludwig, Berlin (near Ku’damm). I believe this beyond any doubt, although not everything will come all right this side of death. 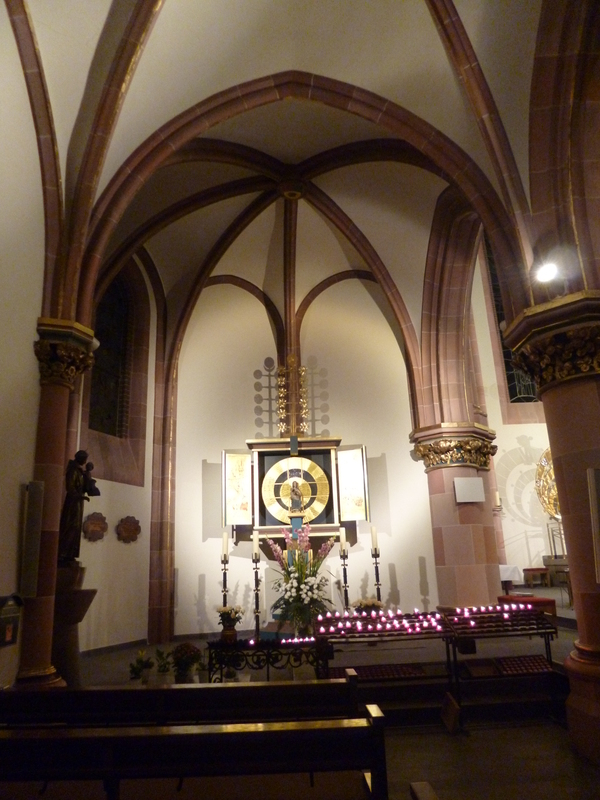 Lighting a candle in a place of worship in the midst of our busy lives gives us comfort and peace at any rate. This poem on faith and destiny was published in a previous edition of the Münsterschwarzacher Bildkalender. The 2017 calendar is available now, with 52 photographs and 52 poems and addresses (one of them by me: psalm für dich). It is too late – It is too late. Es ist zu spät. Es ist zu spät. The two poems contain an echo, and echo each other, in the phrase ‘It is too late’ — ‘Es ist zu spät’, which emphasises the futility of wishes and plans when fate is irrevocably against them. Obsidian is a very dark and very hard stone. 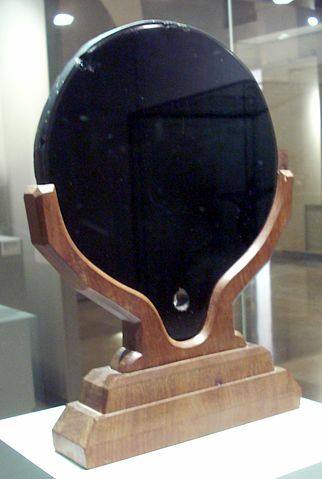 Some ancient civilisations used polished slabs as mirrors. Apparently, they were also employed for fortune-telling! Photograph: Aztec mirror, Museum of the Americas, Madrid. – Simon Burchell via Wikimedia Commons. 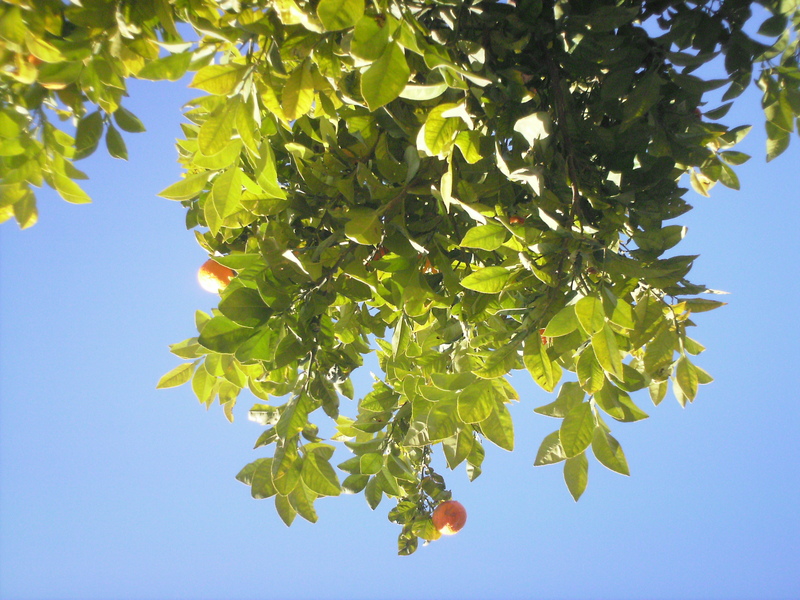 – Orange branch: Christina Egan © 2012.